In New Zealand, we have recently experienced one of the most prolonged periods of drought since records began, and a number of regions in New Zealand have now been declared as officially in drought. 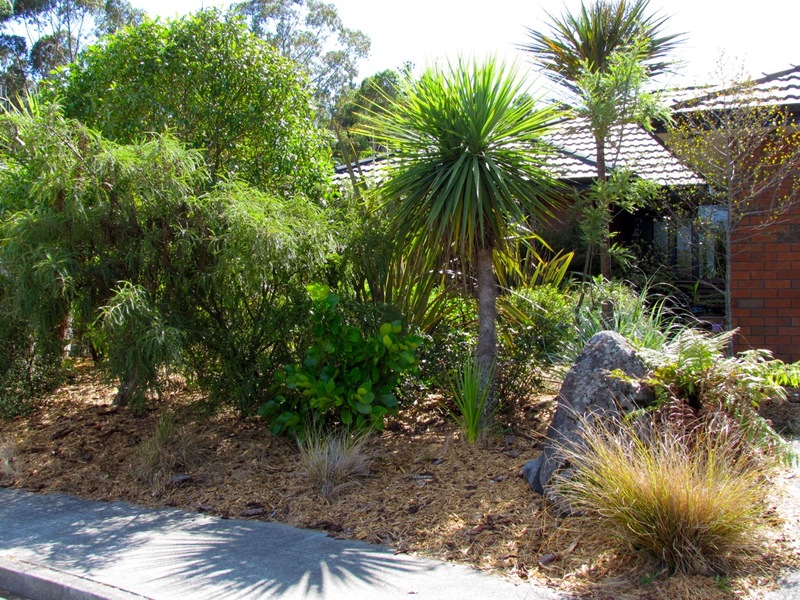 We live in Kapiti, a coastal area where there is less rain and more sun than many parts of New Zealand. On top of that, we have very sandy, porous soils, which makes growing some things quite challenging. “lawn”, we created a path of riverstones, and put in a bird feeder to attract birds. The results have been extremely rewarding. Because our array of plants include flaxes, we have tui coming to feed right up at our front window. Other birds abound. And the lawn-mower has become virtually redundant. 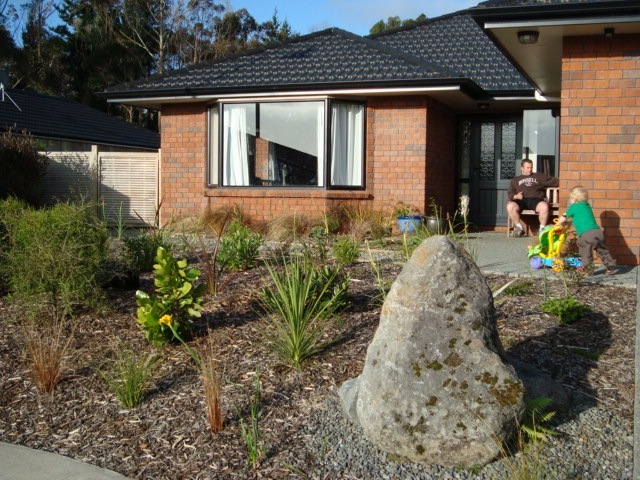 Even better, while our neighbours’ much-pampered lawns have fried in the relentless sun, our “front lawn” has thrived. It is much better adapted to the “big dry” that is going to become an inevitable feature of our climate, and provides privacy, shade, biodiversity and habitat and food for birds and insects. What is there not to like? Oh, I suppose not so good if you sell lawn-mowers! Ha! Point very well made. Good one! And on top of all that, it looks fantastic!